I haven’t written anything for a long time. You see, I’m feeling restless. I’m feeling a bit lost, while paradoxically feeling clearer than I have in a long time. I can sense a change in the air. Maybe it’s the fact that I’m giving birth in about ten weeks – eek! – or maybe it’s a greater change coming about in general. In thinking about my business, I know I want to make some changes moving forward – but then, I also know that changes are coming in my life as a whole, in who I am and how I live. Whatever it is, I know that things are shifting for me in big and little ways. These are not things I’ve consciously chosen to do in the past – in fact, I’ve actively tried to avoid most of them. But now that I stop to think about it, on some level, these things have still been present in my life. They show up in the way I censor myself on social media, in the way I’m afraid to step in front of the camera to make videos, in the feelings of stress and the procrastination that follows, in the loss of interest in my work, in the deep sense that I don’t have what it takes to write a book, in feeling stifled when I think about my business. But when I think about the new, the ways I’m being pulled to move forward, I feel such a deep sense of lightness, ease, relief and excitement. Letting myself be more vulnerable, more easily seen – sharing more of my fears, my imperfections, my mistakes – and my face! Maybe that sounds a bit vague. It sort of does to me when I read it over, but at the same time it makes me feel like I know what I want going forward, like I know how I want to feel. My business will be changing. Sure, there will still be the same journaling goodness (journaling will always be my number one tool for personal growth and soul connection) but there will be other things mixed in there too – things I feel called to share, for whatever reason. In building this little online business, I’ve struggled with the boundaries around being authentic and also being professional – with staying ‘on brand’ but also infusing myself into my work. It’s quite exhausting and limiting. I don’t want to present a certain image – I want to share me. My deep belief is that all women, regardless of race, religion, size, social standing or anything else, have within them something valuable to share with the world. But so many of us need to be reminded that we are enough, that who we are, as we are right now, is enough. That we have gifts to share and offer the world, that the world needs each and every one of us to share our voices, our experiences, our truths – no matter how insignificant they may seem to us. That we need to find the power within and the courage to be ourselves without apology, if we are to live a life that light us up and makes the world a better place. I believe the best way to help women do this – to remember the great power and courage they hold within themselves – is to step into my own power, recognise my own enoughness, live my own life boldly, without apology and be an example for others. And currently, I’m feeling stifled – by my online ‘brand’, by my work (my blogging, writing, social media etc), by the old ways of doing things. I’m sensing parts of myself just dying to be heard, expressed and shared, but instead being pushed down as I fear they aren’t ‘on brand’, or might offend someone, or just plain aren’t enough. No more apologies, disclaimers, worrying about what someone might think. No more holding back, hiding parts of myself, trying to fit within a certain box or image to appeal to some ‘target audience’ out there. No more worrying about what label best fits me – artist, coach, writer, teacher… who cares? No more trying to have it all figured out. It’s time for rawness, authenticity, vulnerability and courage. It’s time for mistakes, mess and imperfection. I guess this is more of a practical topic, a bit different from the others. But I can’t overstate how much better I feel when I have no debt, and money in the bank. The more money I save and the less debt I have, the more I feel both secure and free. Secure in the sense that things can be taken care of, that I have more than enough. Free in the sense that I know if I really want to walk out of my job, or buy a plane ticket to somewhere else, I can. My parents taught me from a young age how debilitating debt can be. Obviously some forms of debt are ok, like a mortgage that is manageable. But having ongoing car repayments, credit card bills, personal loans and so on can be like walking around in shackles. You can’t do much but work to repay the debt. Sometimes it’s necessary, like when your car breaks down and you have no money. But as much as possible, I avoid debt. I value freedom a great deal. As soon as I feel trapped in some form, I start to feel myself wither. I also value abundance and fear scarcity, which I think we are taught to do in our culture. It has been a really big deal for me to purchase a property recently, knowing that I am now stuck in one place with ongoing mortgage payments. But the payments are very low and easily manageable, which allows me the freedom to change my job or cut back my hours. Not only that, having my own land provides me with the freedom to build my own art studio and start working from home – something I couldn’t do while renting. So it’s about striking a compromise. Now I’m focusing on getting more money in the bank to have a cushion of security for the future. Ultimately I’d like to work for myself full time, so each time I put aside a portion of my pay cheque, I know that I’m creating my future. Take a moment to think about your finances. How do you feel when you think about this? Are you satisfied and happy with your current financial situation? If you’re not happy with your finances, how would you like things to be different? What can you do to make that happen? For me, money represents freedom and security. What does money represent for you? It might be the same as me, or it might be luxury, fun, contribution, self-love, generosity, fear, scarcity, abundance, etc. Consider doing an art journal/visual spread about this. This probably seems insanely obvious. Dreams don’t just come into fruition out of nowhere. But it wasn’t until I started journaling every day that it became clear to me there was a disconnect between my big dreams and my daily life. The act of connecting with myself each day made this absurdly obvious. The funny thing is, if you don’t make an effort in some way to check in with yourself, to generate awareness around your dreams and the way you are living your life, it’s easy to go months or years without realising this. I’ve never had trouble with the dreaming side of things – that has always come naturally to me. I’m a romantic, a day dreamer, an optimist, and an ever-hopeful creative with a big heart. I’m forever dreaming up projects, plans, changes; ideal homes, days, lives. I dream of travelling to distant lands, I dream of creating abundantly and helping others to do the same, I dream of living a sustainable life where I can live off the land and support myself. I dream of having books published, touring and inspiring thousands, leaving a mark on the world and making it a little better. And the thing about journaling each day is that I found myself clarifying exactly what I wanted and when I wanted it. I drilled down to the bedrock of my deepest values and hopes. Suddenly, going about my ‘normal’ daily life, right after writing about the life I really longed to live, seemed absurd. Getting up to go to the same job each day to pay bills for a life I didn’t love almost became comical. And that’s when I began to realise that unless I made conscious choices, each and every day, to take action, to step past my current life and into the life I wanted, nothing would change. So what did I do? I started blogging and sharing my creative journey in order to connect with other creatives and develop a base from which to build an online business. I went from full-time to part-time work in order to have less stress and more mental, emotional and creative breathing room. I began the crazy process of building a tiny house with my partner. We purchased some land and moved a little further out of town so we could start to live a lifestyle more in alignment with our values. In other words, I actually took steps to change my life. As long as I keep journaling I will maintain the awareness required to make sure my life is in alignment with my dreams. Set aside a little time when you won’t be bothered or disturbed. On an empty spread in your journal, make a giantbrainstorm (or list, or whatever method you prefer) of all the things you want. It doesn’t matter how big or small they are. You may want to visit every country in the world, or you may want to get a new piece of furniture for your home. You may want to be in better shape, or you may want to meet new people. Whatever it is, get it all out. Write until you fully run out of ideas. What are you doing each day to make one/some of/all of these dreams a reality? What are you not doing to make them happen? What is one small thing you could do today to take you one step closer to one of these dreams? 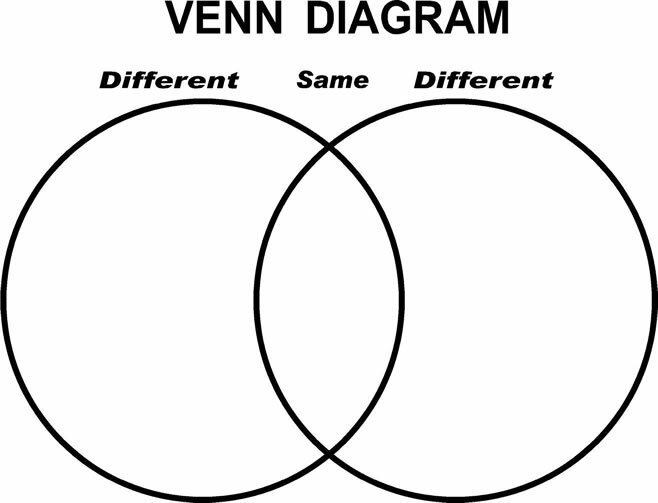 Try this: remember Venn diagrams from school? On a new spread in your journal, draw two big overlapping circles that take up most of the pages (see image in the link above). In one circle, write all the things you dream of for your life and yourself. In the other circle, write about the way your life actually looks/is. In the overlap between the two circles, identify areas where you are already taking steps towards, or actually living the life you want. The good thing about journaling over a long period of time is that you can look back and see how much you have changed and grown. Today I was reading some journals I wrote around the time I was finishing high school. I had just been overseas to the USA and France for the first time and I was inspired about the possibilities for the future. I mentioned how much I would love to study film at the Tisch School of Arts. And then, a line or so later I declared I couldn’t afford it, and would have to stay and study in New Zealand, even though that wasn’t what I wanted. In truth, I probably couldn’t afford it. But what if I had found a way? What if I had wanted it enough and dreamed so big that I made it happen? I could have borrowed money, worked for a year to save – done any number of things to make it happen. But I just didn’t believe it was possible. I can’t help but wonder what my life would look like right now if I had done it. Don’t get me wrong – I’m ok with where I am in my life, but I am acutely aware that the dissatisfaction I do feel is the result of short-changing myself – of censoring my dreams to make them more ‘acceptable’ and ‘realistic’. When I look back on past journals I see big dreams – of becoming a scriptwriter and director, an author and a singer. I wrote about how much I wanted to move to New York to pursue my dreams. Sure, I was a teenager, full of optimism and hope. It was ok to dream big back then because ‘the future’ was still far-off and existed only in my head. The reality is that I didn’t have the courage to pursue these things. I didn’t believe, at my core, that I could really have them – so I settled. I’ve mentioned before that I am currently planning a business with a friend. As part of the Right Brain Business Plan, we had to imagine our business as wildly successful, and describe what that would look like. We were both hesitant to say anything too ‘unrealistic’ – so we stated ‘realistic’ salaries, working hours, locations, etc. Why did we do that? We are starting from scratch. We can have anything, build anything. Surely if we dream small we will only make something small? Once I realised we were holding ourselves back, I said to my friend: let’s dream big. This is our business, our passion, our one chance to leave our mark on the world. Who cares what people will say, or if we end up disappointed. We have to risk it to achieve big. I am sick of playing small, of censoring my dreams. She agreed. A part of me wishes I could go back to the young me and say: Be bold! Dream big! But I needed to go down the path I have to learn what I know now. The only thing I can do now is to move forward boldly. To dream big. What were your biggest dreams as a child/teenager? You may like to look back through old journals/yearbooks etc to remind yourself. Have you achieved those dreams, or are you in the process of doing that? If not, why not? Can you think of what may have stopped you from moving towards them – perhaps a parent’s wishes, the words of a teacher, worrying about what your friends were doing, etc? What is it that you really really really want now? Get really quiet and listen. Try free writing about this for a few minutes and see what comes up. Do you feel any sort of resistance or words of warning about dreaming too big from your inner critic? If so, you could try writing a letter to your inner critic in your journal – thank them for their concern about you, but declare that you don’t need them to worry and state boldly and clearly what it is you want. How can you start to move towards what it is that you really want? If you’ve been following this blog for some time, you will have noticed the changes around here. It started out as just me, a blogging newbie and journaling enthusiast, then Kelly came on board, and if you’ve been paying attention, you’ve noticed that it’s back to little old me – still a journaling enthusiast, but with a little more blogging experience under my belt. So what’s been going on? Why all the changes? It’s been about a year since I first waded into the world of creativity in earnest. It started with an innocent journaling course, then I found myself falling headfirst in love with everything to do with journaling, art journaling and any and all aspects of creativity. I found that these things perfectly complemented my training in life coaching, psychology and teaching. I’d always wanted to blog, and had attempted it several times, but this time it stuck. Why? I just can’t help but talk to everyone about it. My bestie Kelly was also in love with the same things, and she also wrote a blog, so we started to plan ways we could share our passion. It made sense to write a blog together, to create a community online around the things we both love. So she came on board here with me. We both started blogging about the things we loved: creativity, self-love, self-care and journaling. But things started to change, for both of us. Instead of being inspired by each other, we started to feel stuck. We couldn’t figure out why, so we just kept going. I started wondering where the magic had gone. What happened to that feeling of wanting to share any and everything I love about journaling and creativity? Why was I suddenly feeling uninspired and stuck? It turns out, our creative dreams can be a very personal thing. Despite the fact that we both loved journaling and blogging, what we didn’t love was sharing one online space together. We felt as though we were cramping each other’s style – unknowingly, and unintentionally, putting creative limits on one another. I missed the freedom to just be myself, to follow my own creative whims and share my strange imperfections. I realized that if I am to evolve creatively and truly follow my own deeply personal creative path, I need to go it alone. This can be scary, and there was something so reassuring about having Kel right by my side. She was there to bounce ideas off, to brainstorm with, to laugh over endless cups of tea as we dreamed big creative dreams together. Since we’ve gone our separate creative ways, I really miss those moments. But even more rewarding is the sense of building something all by myself: fueling my own creative fire and lighting my own path. I think we certainly need others out on the creative path – people to reassure us when times are tough, to tell us that they too struggle, to share ideas and inspiration, to cheer us on when we doubt ourselves. Ultimately though, I think creativity is a solo expedition: an excavation of our own inner selves – our fears, our dreams, our lives. While support from others is certainly valuable and I would say even necessary, ultimately it’s up to you to venture within. So, Journal Wild is back to just me. What started as Journaling Dangerously, an experiment in journaling more often, has become Journal Wild, a full-blown commitment to a creatively nourishing life. I’ve got my inner creative fire to light the path ahead and I’m going it alone. Each week we share the links and posts that have most inspired us. Feel free to share anything that thas inspired you this week in the comments below! Have you ever thought about writing letters to your muse? Today I went for a walk with a friend. We were talking about the creative business we will soon be launching, our biggest dreams and hopes for the future. We were talking about where we want to be this time next year; what changes we want to make over the next 12 months to make our dreams come true. We dared to imagine what our lives could look like if our business plans came true. I explained the changes I was making in my own work life – some of which have taken courage and are scary. But I’ve been trusting my intuition to lead me. I’ve been letting my inner wisdom guide me. As we walked, a beautiful monarch butterfly caught my eye, dancing through the early evening sun’s rays. Every time I see one of these butterflies I think of Wayne Dyer and the amazing story from his book Inspiration. He believes that butterflies are a sign from the divine. I love this. Each time I see one, I take it as a sign from the divine that I am on the right path. It was perhaps a coincidence that I saw the butterfly as we spoke about this. But I prefer to see it as a sign. Again, a possible coincidence. In truth, I don’t believe in coincidences. I believe in synchronicity. Meaningful coincidence. And I didn’t even want to go walking, really. But by keeping my eyes and my heart open as we walked, I found myself receiving tiny messages from the universe. Tiny nods to keep going.